Those who desperately want to know the title of Star Wars 9 need to start hounding director J.J. Abrams personally. Certain fans are starting to grow restless in waiting for the movie's official title to be revealed. It didn't help matters that C-3PO actor Anthony Daniels made it seem like something, possibly the title reveal, was going to be coming our way in a recent Twitter post. That didn't happen and people want answers. They recently turned to Dominic Monaghan looking for said answers and got one. Not what they were looking for, but an answer nevertheless. Dominic Monaghan (Lost, The Lord of the Rings) is one of the new cast members joining the franchise in Episode IX in an undisclosed role. He recently held a Q&A on Instagram and, naturally, someone asked him about the movie's title. Not only did Monaghan reveal that he doesn't know the title, so he can't share it with the world even if he wanted to, but that J.J. Abrams is, in fact, the only person who does know it. Here's what he had to say. "Only J.J. Abrams knows! It's good to have secrets on Star Wars." The secretive nature of Star Wars productions under the Disney era is nothing new. The studio goes out of their way to safeguard the contents of these movies and, in this case, that involves only the man at the very top knowing what the title of Star Wars 9 is going to be. Even outside of a galaxy far, far away, Abrams is famously secretive with his projects and is quite good at keeping those secrets until he wants them out in the world. So don't expect him to slip up until the time is right. So the question now becomes, when is the time going to be right? At this point in the process for The Last Jedi, the title had already been revealed ahead of Star Wars Celebration that year. It's looking increasingly like Lucasfilm is going to make us wait until Star Wars Celebration 2019, which takes place in April, to reveal the title. Or maybe they'll drop the title just ahead of the event to hype up the trailer reveal, which is sure to take place at Celebration. 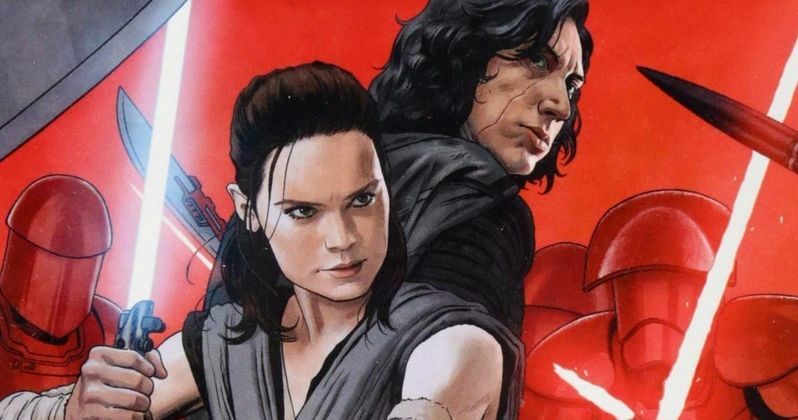 What we know for sure is that Naomi Ackie, Richard E. Grant, Keri Russell and Matt Smith have also been cast in unspecified roles for the upcoming entry (apparently the last) in the Skywalker saga. Billy Dee Williams will also be returning as Lando Calrissian (though perhaps in a limited capacity) for the first time since Return of the Jedi, which is something fans have been clamoring for. Whatever it ends up being called, Star Wars Episode IX is set to hit theaters on December 20. This information was originally shared on Dominic Monaghan's Instagram.